Dimensions 1.25 by 7.25 by 9.50 in. This comprehensive textbook encourages the reader to contextualise their understanding of quantitative and qualitative research methods by drawing links between the research question and its theoretical framework with the choice of the quantitative/qualitative methodology and analyses. 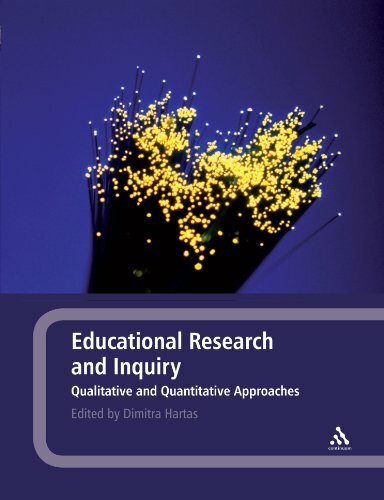 It encourages a theoretical appreciation of the field of inquiry and to balance the emphasis on methods with reviewing the literature and understanding the wider context of research. Each chapter contains user-friendly features, such as: key terms, summaries, case studies, examples and suggested further reading. Exercises are suggested throughout the text, encouraging the reader to look at easily accessible data sets and use prompts to formulate research questions and produce a mini study. A companion website supports the text, providing easy access to supporting material, including revision questions and an annotated list of useful websites. This text will be invaluable reading for students on Research Methods in Education MA programmes, as well as those embarking upon their PhD, EdD or MPhil in education. Research fellows and other educational researchers will also find this book a useful resource.